On the east side of the south-end of Dingley Place. 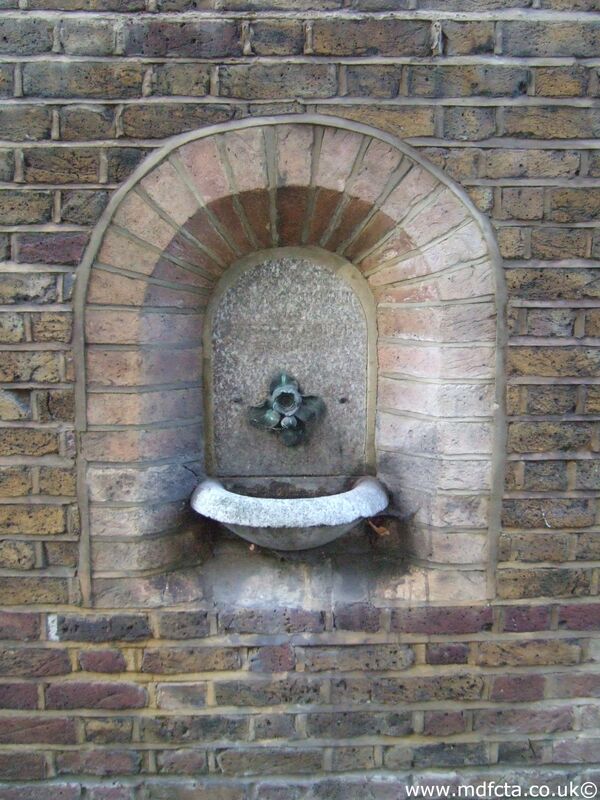 The MDFCTA records don't mention a fountain anywhere in Dingley Place. One of several Design-63 drinking fountains.